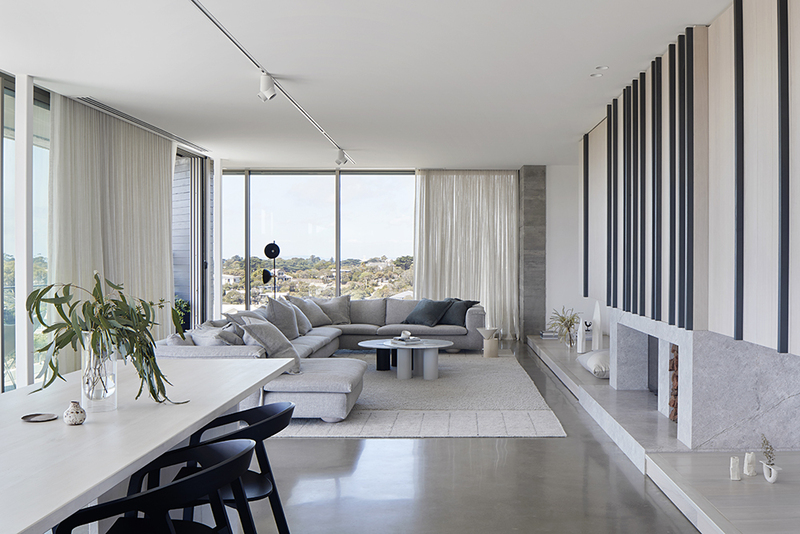 Wildcoast by Rachcoff Vella Architecture (RVA) is a residential interior design and architecture project set against the wind-swept sand dunes and evocative coastal landscape of Portsea, Victoria. The client brief was to provide an escape from busy life in the form of a holiday home in a well known and loved place that encourages family to connect and create lifelong memories. 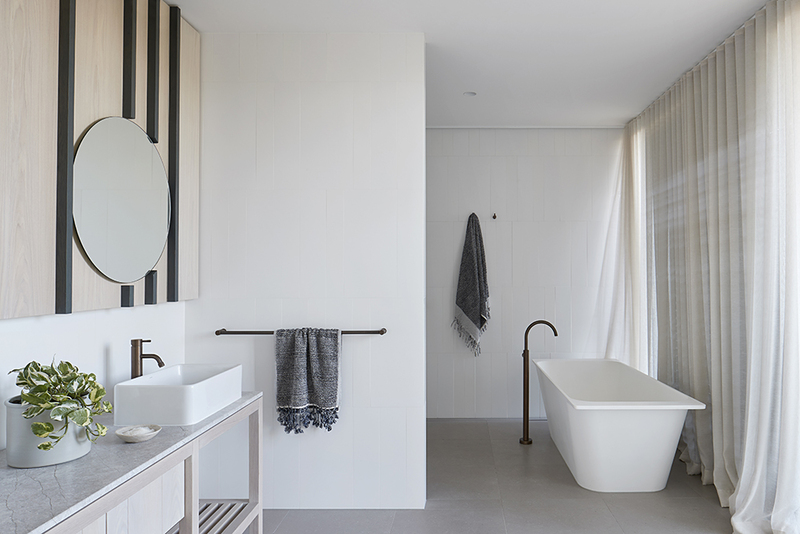 Their love of the seasonal variation on the local back beach was the inspiration in materials and colour selection. 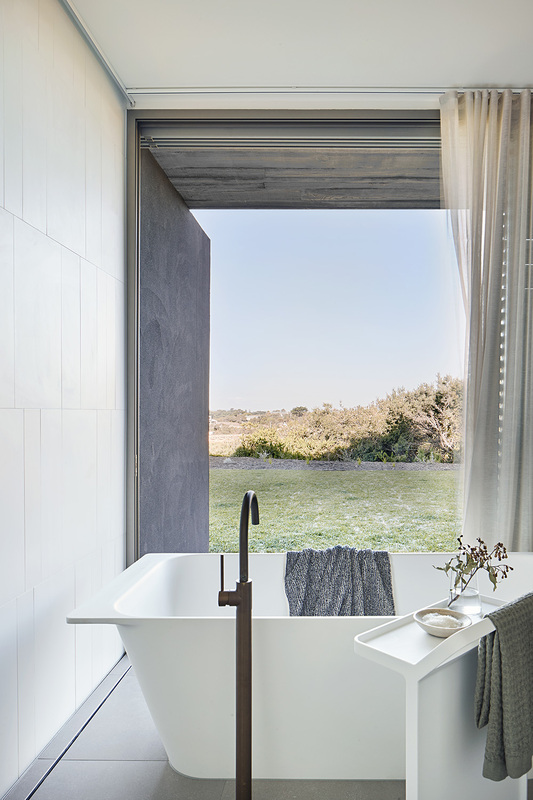 The challenge became to design internal spaces that could manage this variation whilst offering connected internal and external spaces protected from the elements. 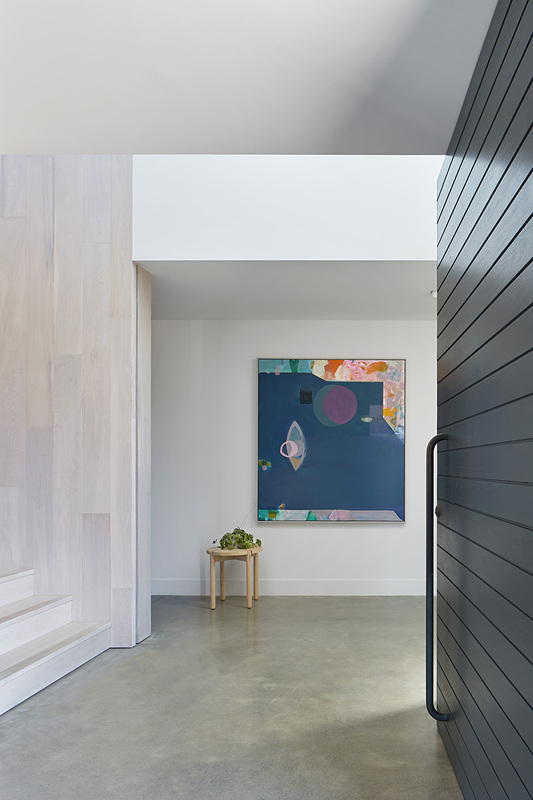 The spatial arrangement, orientation, views and the onerous site-specific height and setback requirements were all strong drivers during the design process, producing long extruded north facing living spaces that are defined by furniture and joinery not walls. 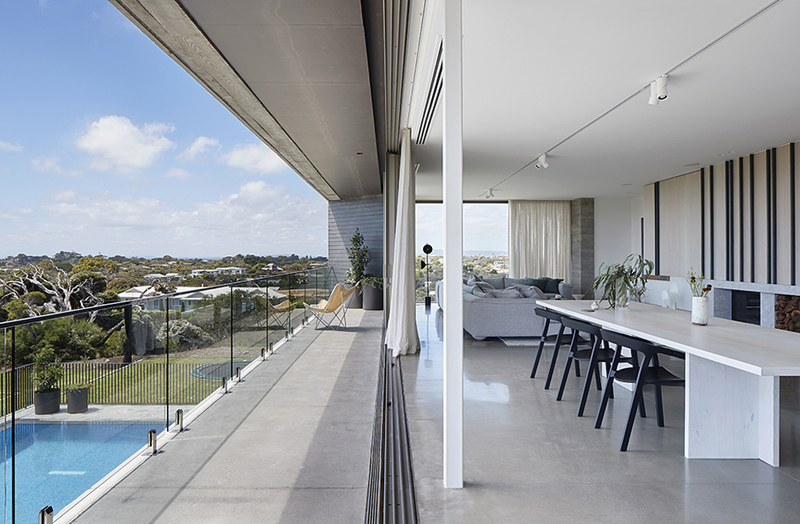 “The ground floor bunkers in with bedrooms thumped deep into the dunes, the floating first-floor living zone takes in the spectacular views and acts as the command station overseeing all activities,” explains RVA. 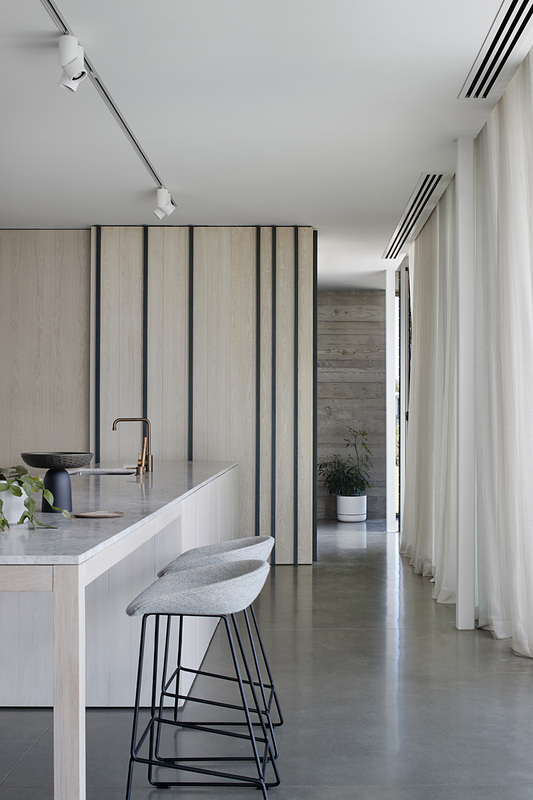 Random patterns of stained timber battens set against white sand joinery aims to mimic driftwood awash on the shore, while spaces in the house have been designed to connect seamlessly allowing natural movement along the North facing axis.